Tokyo Police Club are hitting the road on a nationwide tour beginning this April in support of their forthcoming album ‘Forcefield’, which drops March 25th via Mom + Pop Music. Tickets will be available to the public starting this Friday (January 24). In place of a standard pre-order, Tokyo Police Club is encouraging fans to participate in a PledgeMusic campaign, where they can pre-order the album in a variation of bundles, while taking part in an intimate fan club style promotion. ‘Forcefield’ is Tokyo Police Club’s first release in four years, following 2010’s ‘Champ’, which received widespread acclaim. The band teased the record just before the new year with a video for the track ‘Argentina (Parts I, II, III)’. ‘Forcefield’ was produced by Doug Boehm (Dr. Dog, Girls) and David Monks (vocals, bass). Of the new music Monks notes, “Since writing started for Forcefield in mid-2011 there have been so many trends and every kind of ‘wave’. We saw them all come and disappear or change into something broader. It left us wanting to make something that would last. We ended up rediscovering energy and guitars and simple, direct songs. There was certainly a lot of pressure to take the music somewhere new and there were lots of opinions about how to do that, but in the end we blocked all that out and followed our instincts. I think that’s what Forcefield is—it doesn’t matter what else is going on out there, the music just has to be honest and have a real feeling to it.” See below for full track listing. 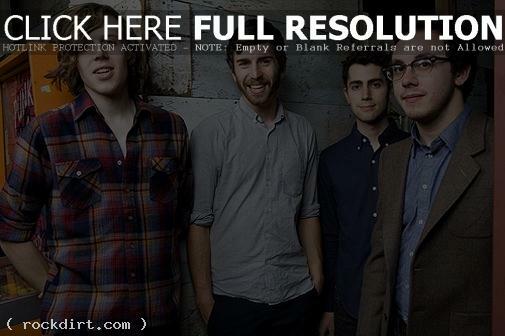 Tokyo Police Club is Monks, Graham Wright (keys), Josh Hook (guitar) and Greg Alsop (drums). Bursting onto the scene in 2006 with 16 minutes of music—A Lesson In Crime EP—that garnered an ecstatic response, the Newmarket, Ontario quartet has never looked back. We have a tendency to get bogged down in the studio; it just comes from our nature as being sort of perfectionists and being all over the place and having four different strong voices all wanting to contribute. Even at the best times in the studio, when we’ve had lots of time to do stuff, there’s been some long serious roadblocks that you have to navigate around, which is part of being creative. But, not only do we have only have ten days, but we only really have one day at a time. The project resulted in covers of tracks by Moby (‘South Side’), Jimmy Eat World (‘Sweetness’), The Strokes (‘Under Control’), Kelly Clarkson (‘Since U Been Gone’) and more. Check out a stream of the tracks below. Tokyo Police Club are out with the video to their new single ‘Breakneck Speed’, off the Canadian indie rock group’s second album ‘Champ’, out June 8th on Mom + Pop. Watch the Mike Juneau directed video via YouTube below. Tokyo Police Club are out with the video to their new single ‘In A Cave’, the second release from the Newmarket, Ontario indie rock band’s full-length debut album ‘Elephant Shell’, out now on Saddle Creek Records. Watch it via YouTube below. 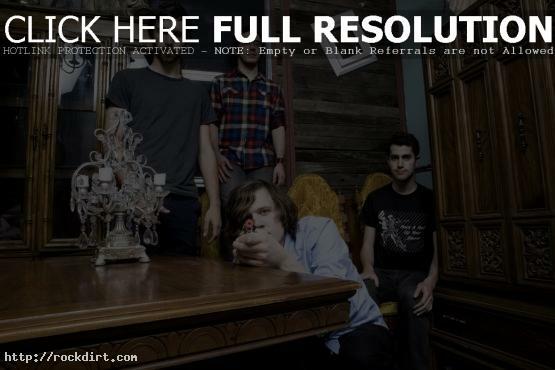 Tokyo Police Club are out with the video to their new single ‘Your English is Good’. Watch it via YouTube below. 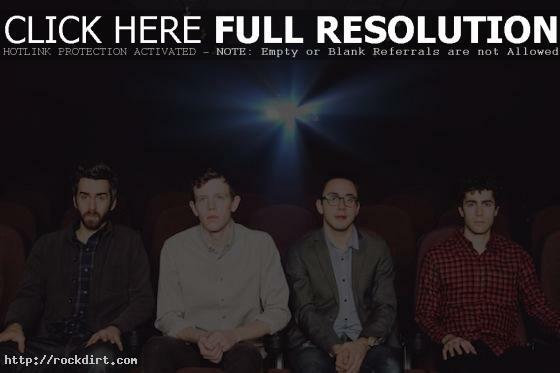 Tokyo Police Club visited ‘The Late Show with David Letterman’ on April 19th at the Ed Sullivan Theater in New York City, performing ‘Nature of the Experiment’. Watch it at YouTube. ‘Nature of the Experiment’ is off the Canadian indie rock band’s EP ‘A Lesson in Crime’, out now on Paper Bag Records. Tokyo Police Club are out with the video to their new single ‘Nature Of The Experiment’, from the album ‘A Lesson In Crime’. Watch it below.